Extrusion ice cream machine(ice cream extruder) is a complete line for produce special-shape ice creams, for example, magnum ice cream, funny face ice cream, log ice cream, cake ice cream, sandwich ice cream, wave ice cream or any other abnormity ice cream. Assembly by cooling tunnel, extrusion head, ice cream cutter, stick inserter, manipulater, chocolate dipping tank, still packing machine. The most common manufacturers of these equipments are APV GLACIER, CATTA 27, GRAM, HOYER, MATRIX-VOJTA, TECHNOGEL, TEKNO ICE, TETRAPAK, WCB ICE CREAM. 1. 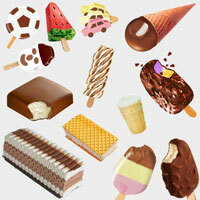 Good quality stainless steel ice cream machines to the ice cream industry. 2. The machine has reached the internationally advanced technology level, adopting complete pneumatic working,Siemens (PLC) display all operation data in the screen. 3. 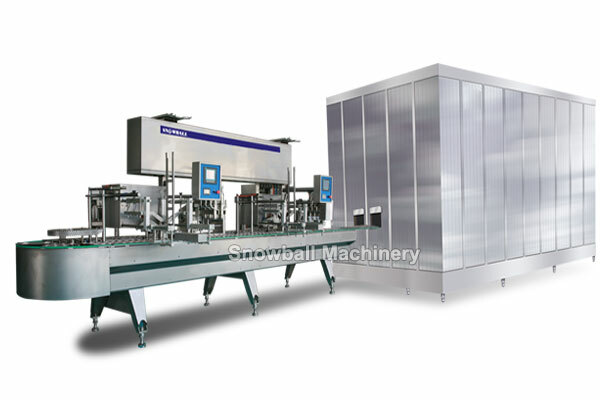 The equipment decreases the production consumption, greatly increase the production ability, and lowers the productions cost .